There were rumblings within the political combine of the United People’s Freedom Alliance (UPFA) the Sri Lanka Podujana Peramuna (SLPP) after some UPFA stalwarts – Mahinda Samarasinghe, Nimal Siripala de Silva and the like- announced that President Maithripala Sirisena would be their presidential candidate. The UPFA is now a broad political platform as opposed to the political force led by the United National Party (UNP). The SLPP or the UPFA segment led by Opposition Leader Mahinda Rajapaksa, however, despises any move to nominate President Sirisena as their candidate next time. The support of the SLPP is the sine qua non for the President to secure candidacy to seek office for the second term at the Presidential Elections, scheduled for the end of this year as otherwise his own vote base does not suffice. The President’s aspirations of contesting next time were dimmed in that context, at least for the time being, when the SLPP MPs – Kanchana Wijesekara, Roshan Ranasinghe and the like – openly denounced candidacy for him in that context. 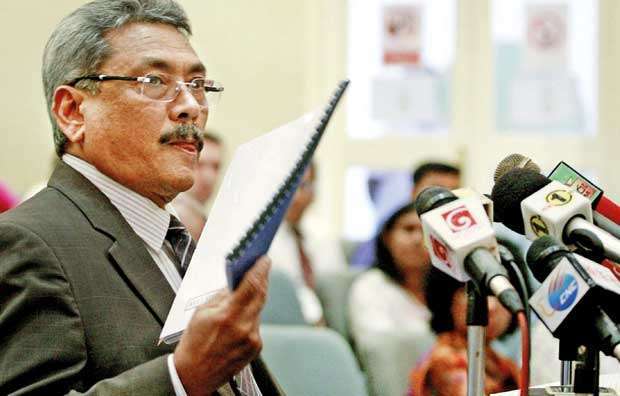 In a further step towards subduing agitation for candidacy to the President by his loyalists, former Defence Secretary Gotabhaya Rajapaksa remarked at a function last Saturday in Colombo, that he was ready for the presidential elections if people agreed. “I am ready if people are ready,” he said. This is the first time he directly hinted at his interest in becoming the presidential candidate. Let alone, Gotabhaya Rajapaksa was widely perceived as the person tipped to be the next candidate. Against that backdrop, his remarks gave some sort of certainty to public perception. Though it is not a formal announcement, it has the intended effect- to preempt lobbying for candidacy by President Sirisena through his loyalists. Afterwards, no one from the President’s camp responded to Gotabhaya Rapajapksa’s indication to become the candidate. Instead, the UPFA members, who were openly advocating candidacy for the President, now try to soft-pedal what they said earlier. At the same time, Opposition Leader Mahinda Rajapaksa is also not inclined to announce Gotabhaya Rajapaksa as the candidate at this hour. He believes there are ten more months to go for the Presidential Elections, and therefore it is premature to make the announcement right now. It is not yet fully certain who would be the candidate. Be that as it may, it is reported that Gotabhaya Rajapaksa has applied for the renouncement of his dual citizenship in the United States. The renouncing of a dual citizenship is a constitutional requirement for a candidate to contest for the Presidency in Sri Lanka. The 19th Amendment to the Constitution, has barred dual citizens from becoming the President of Sri Lanka. He has reportedly filed his application in Washington. Now, his applications are processed. So, his eligibility to become the next candidate is dependent on the United States despite a public perception built quite prematurely here that he would be the candidate. Before the presidential elections, some parties are keen to get a provincial council election clearing the present obstacles. It is politically logical for some parties to have such elections first as a precursor to the presidential elections. Once such an election is conducted, it will determine the standing of each party among constituents. Then, it will be helpful for them to test the waters and plan accordingly for the Presidential Elections. A candidate has to poll more than 50 percent of votes to win presidency. A provincial council election, conducted ahead of the presidential elections, would be portentous for a party to ascertain its electoral position, among different communities and various social strata- in pursuit of the 50 percent target of votes cutting across the entire country. Former Minister Basil Rajapaksa, who formed the SLPP, is keen to have elections to the provincial councils first. Also, President Sirisena expressed his desire at a recent meeting to contest the provincial council elections first. The President recently appointed the Governors to each province, probably as part of his plan to gear his party for the provincial council elections. Howeer, the UNP is requesting for a presidential election first. The party, along with its allies, has not made any formal announcement of its presidential candidate. 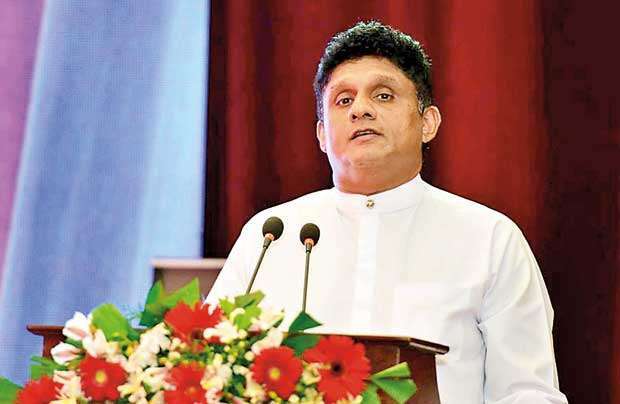 However, UNP Deputy Leader Housing and Construction Minister Sajith Premadasa appears to be enthusiastic about becoming the party’s choice to contest the presidential election. This is becoming obvious both by his words and deeds these days. The housing project, commonly called ‘Udagam Project’ is his passion project. These days, he has devoted himself fully to the programme which has been tailor-made to boost his image and popularity in the country. In fact, he skips Cabinet and party meetings to find time to be away from Colombo to implement the programme in different parts of the country. Instead of the challenging the economic reform agenda pursued by the UNP, during the past four years in office, Premadasa is also whipping up populist nationalism probably to carve out his political niche ahead of the Presidential Elections. It is natural for him to depart from the reform agenda his party pursued because it was not popular among people at that time. In lobbying for candidacy, Premadasa is backed by more people this time within the party than in the past. That is surely an advantage this time. Alongside, he has some disadvantages because he has not aired out his opinion as such on other important policy matters- education, health ethnic conflict, foreign relations etc. He is passionate only about the housing project, following in the footsteps of his late father R. Premadasa who ascended to presidency through his famous Gamudawa and housing programmes in 1980s. Housing needs are not as dire as they were in the 1980s. So, such a project would not have the desired electoral effect at present, come what may. Dissension still reigns in the UNP over denial of ministerial perks to some MPs. 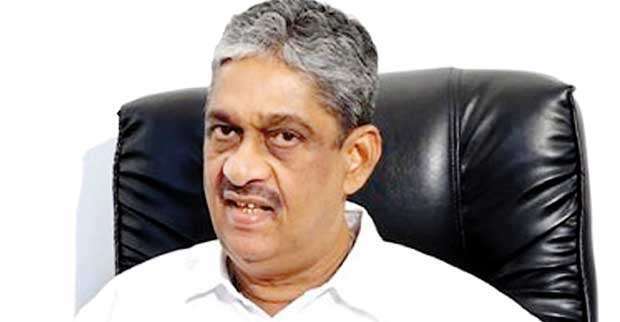 National List MP Field Marshal Sarath Fonseka directly hit out at Prime Minister Ranil Wickremesinghe in this regard, and accused him of paving the way for President Sirisena to appoint him in the Cabinet. Fonseka criticised the party leadership in this manner at the recent parliamentary group meeting. Quoting the Constitution, he said the Cabinet had to be appointed by the President in consultation with the Prime Minister. The size of the Cabinet has to be restricted to 30 under the 19th Amendment. Fonseka said that the Prime Minister had sent 35 names including his to the President instead of 30 names. “The President got the chance to knock off five names including mine. If there were 30 names including mine, the President would have appointed all,” he said. Fonseka implied to say that the Prime Minister only made way for the President to exclude him from the Cabinet in this manner. Fonseka argument is correct. Sajith is not popular among the floating voters and also majority Sri lankans voters.If Mr. Karu Jayasuriya contest for presidency there is good chance. My vote for him. If not no my vote for anybody. 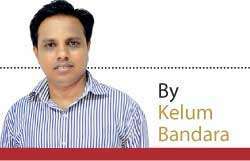 This article tries to subdue the somewhat greedy and shameless attitude of three members of the Rajapaksha brothers, namely Chamal, Basil and Gota who are aspiring for the President post. However country can appoint only one man. Why is that this article does not discuss this aspect. AIYOO GOTA, your application is not considered as you are involved in misappropriation of peoples money? Alternative is AIYOO SIRISENA.